I’m so glad you’re here. 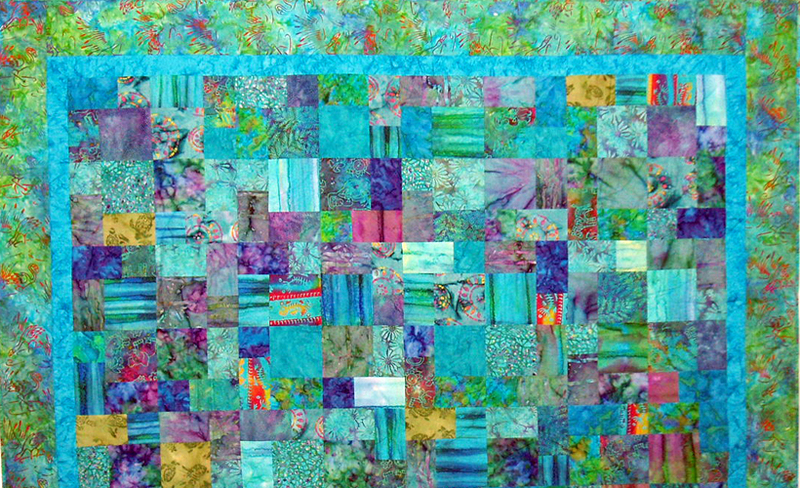 Inspired Quilting by Lea Louise is about the joy of creating something beautiful. 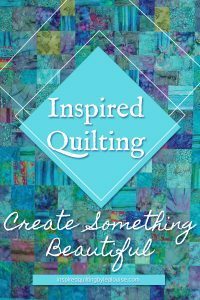 My intention is to share my quilting knowledge, experiences, and hopefully provide artistic inspiration to you. While you may not be familiar with fabrics and fibers, creativity comes in many forms. I love sharing and teaching what I’ve learned. Please browse my site and find what inspires you. Stash Quilting is what I call my style of quilting. Quite simply, I start with a focal fabric and draw the rest from my stash. This transformation began when I realized I had more fabric than time to quilt. My goal was to quilt without purchasing any fabric. Using my cherished acquisitions has been great fun. The challenge of pulling only from my stash has been totally creative. I’ve been quilting for over three years only using fabric I have on hand. I’m so anxious to share these quilting stories with you. At this writing, my site isn’t even started yet. No worries, the ideas are blooming right along with my garden. This is what I love: springtime and artfully creating with beautiful colors and fibers. Spring is my favorite time of year. I love the bright colors, sprouts reaching for the sun, the early buds preparing to bloom, and the sense of new beginnings. It’s the same way I feel about starting a new quilt. Pulling beautiful colors together to bring a new story to life. That’s my favorite way to begin a quilt. I’ve held a needle in my hand since I was a child. My early days of stamped embroidery and crochet led to crewel embroidery and needlepoint, then to counted cross stitch and Hardanger. It was all the rage! While I’ve always loved using a needle, my sewing machine was never far from reach. My first sewing machine dates back to the late 60’s when I won it at a raffle. The National Western Stock Show and Rodeo of all places! I was thrilled. Then a couple months later I received a sewing machine table for my birthday and the rest is history. It was so exciting to set up my new machine in my mother’s sewing room. It sat across from her black and gold Singer. I’ve always owned a sewing machine ever since. At times, multiples of them! My early sewing projects were outfits for myself. Going to the fabric store with my mother is still one of my fondest memories. I loved flipping through the oversized pattern books trying to decide what I was going to make next. Then the fabric selection began, and I was in heaven. Seeing all the gorgeous colors and feeling the various textures made me anxiously anticipate my next project. Then there were the buttons. They always caught my attention. I loved to get unusual buttons to make my new outfit unique. Ultimately, it’s the process of creating that inspires and fulfills me. I still like to add a bit of bling here and there. My first quilt wasn’t made until I was an adult. I joined a group of friends for a beginning quilt class. That small sampler turned out a bit sad, but I loved the progression of piecing bits of fabric into a beautiful, finished wall-hanging. Today, forty years later I’m still quilting! While quilting and fabric art are my passions, I love all creative endeavors. Gardening is a favorite seasonal pastime for me, and cooking is always exciting. I love new flavors and recipes. Fortunately, I have a family willing to try new foods. I can get lost in specialty food markets! I’d love to share a bit of that in this blog, too. I’m so excited to get started. That’s a bit about me. Now I’m ready to begin a new creative journey. I want to invite you to join me. Please follow along. I’m new to this style of conversation and look forward to lots of new discoveries. Thank you for being here with me. I hope you enjoy what I share on this blog. I want you to learn something new and be inspired to create more beauty in your life every day.